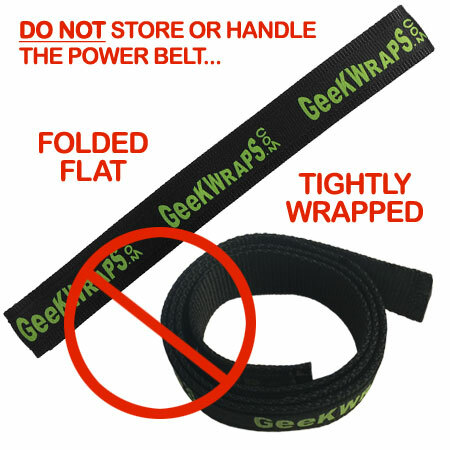 The innovative Power Slam Belt features sewn-in magnets throughout. 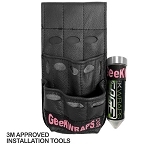 Useful for keeping the Power Slam Magnets and any Geek Wraps magnetic pouch handy. Other multiple tools can also be placed directly onto the belt. In addition, the dual-sided magnetic force provides a fantastic holding strip for your media. Power Slam Belts now come in three different color combinations, Green on Black, Pink on Pink, and Green on Green. Extra Large - approximately 55"